This summer is going to be real peachy. Starting today, Chik-fil-A is rolling out two new summer time drink to make your summer sweet. The drinks, the White Peach Tea Lemonade and the Peach Milkshake are here to kick off beach season with a hint of southern fruit at its finest. The White Peach Tea Lemonade is a classic combo of Chick-fil-A's classic Iced Tea and Lemonade (or Diet Lemonade) with a flavor of farm-fresh white peaches. If you are in South Carolina you may already know about this drink. Back in the spring Chick-fil-A tested out the customer's response of the drink and after a successful test, decided to launch it nationwide. A refreshing beverage, the White Peach Tea Lemonade is available for only $1.89 as a small and $2.09 for a large. When made with the regular lemonade, the drink contains 160 but when paired with the diet lemonade, the calories come down to 90. For the large Peach Tea Lemonade, calories are 20o for the regular and 120 for the diet. Chick-fil-A actually got the idea for the new summertime drink from customers. 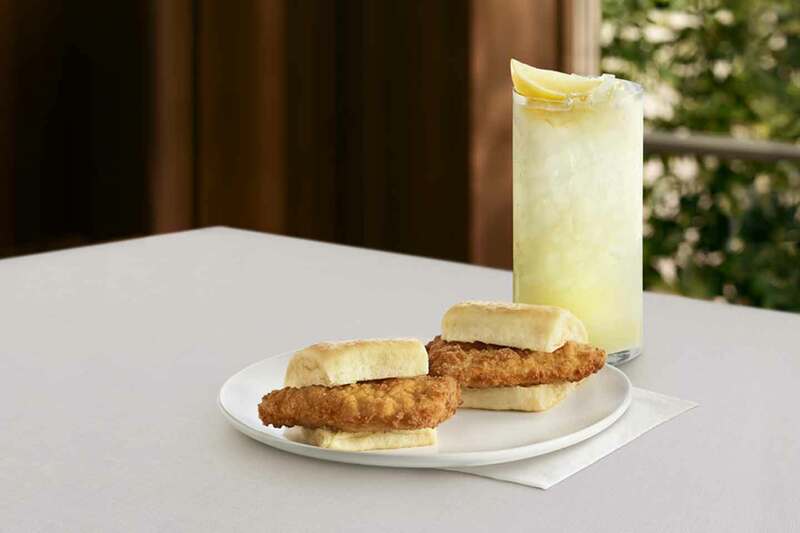 "Customers often order a tea/lemonade combination at our restaurants," said Amanda Norris, senior director of menu development for Chick-fil-A. "This is the first time we're officially adding the popular flavor combo to the menu, with the extra twist of an essential summer taste. The White Peach Tea Lemonade combines all the flavors of summer for a refreshing beverage we think our customers will love." Along with seeing the success of testing out the new White Peach Tea Lemonade, Chick-fil-A is currently testing out a new menu item, Chick-n-Sliders at participating restaurants in Charlotte, N.C. and Albuquerque, N.M. Only available in the summer, these sliders are a combination of a signature chicken filet served on a warm roll and topped with honey butter spread. And starting on June 4, participating restaurants in Tampa, Fla., Little Rock, Ark. and Indianapolis will be serving Chick-n-Minis throughout the entire day. The minis are available as a 4-count, 10-count or even a catering tray.